What Kia Sedona model year and mileage can you get for your budget? Is it wrong to want to own a minivan when you just own one fifty pound boxer dog? Sure, we could start a taxi service but who would want strangers messing up the deliciously upscale 2015 Kia Sedona SXL minivan? Having driven this van also from Southern California to Las Vegas, let us say that not only is the ride comfort sublime but it somehow manages to feel quick and pretty agile for a minivan. Actually, only the Honda Odyssey drives similarly, every other minivan drives like you are piloting a dead hearse who passed away long before the person in coffin carried in back. Oh, there are worse fates out there than having to own a minivan. At least it shows you have accepted your duty as transporter of much cargo both human and otherwise. The 2015 Sedona SXL we tested excelled in all areas thanks to two center row captain's chairs with (get this) a recline, leg elevator function much like a far more stylish La-Z-Boy and the third row leg room is comedic in its enormity. Also, rear seat passengers get their own moonroof so they won't miss out on any views during the 22 hour family drive to Grandma's house. 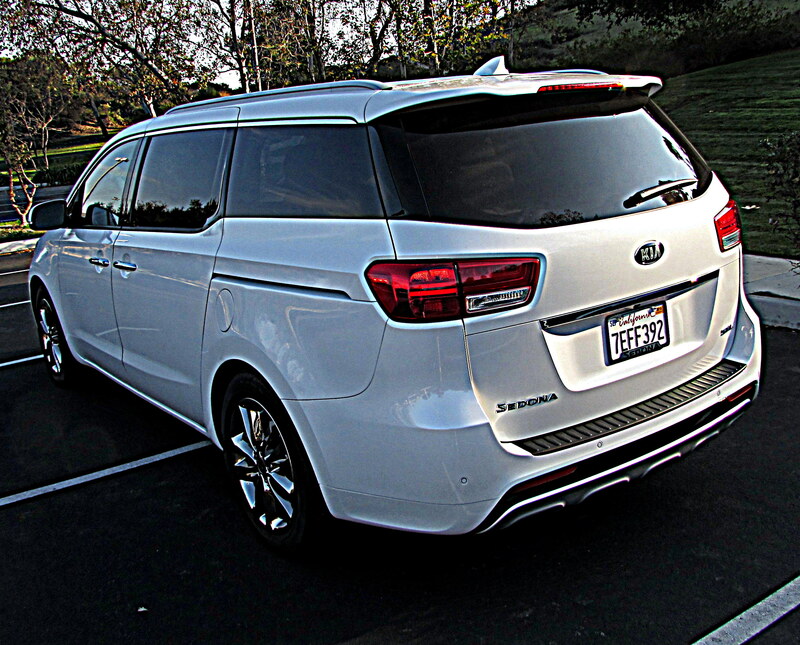 But that's not really what nabbed us with the 2015 Kia Sedona which admittedly lacks the Honda Odyssey's brilliant and handy HondaVac built in vacuum cleaner and the seats don't fold as easily in the Kia either. But, from the outside when you see it in person the Sedona looks downright handsome and dare we say it, upmarket? The Odyssey has aged perfectly well but its myriad wacky styling cues are well documented. Well, at least it looks better than the Nissan Quest. A minivan that looks like the box the toaster over you just bought came in. Now let's take a closer look at the 2015 Kia Sedona SXL and see how close it comes to unseating the Honda Odyssey, our current favorite minivan.